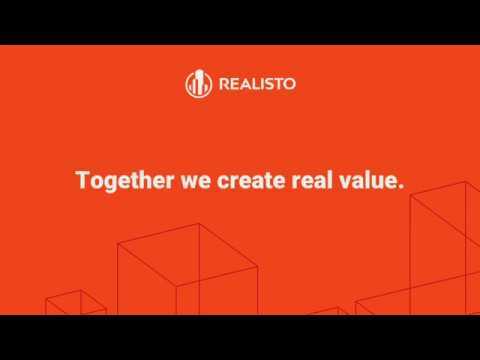 REALISTO offers a solution to the real estate investment conundrum. We do this by backing our tokens with expertly chosen real estate properties that are vetted, certified, and reliably managed. Instead of promising participation in glamourous, high-visibility projects, we confine REALISTO’s activities to a marketplace that we know inside out. We use this expertise to assemblea core pool of real estate that truly mirrors token value. In short, we provide a way for investors to escape the pitfalls of overreach while realizing above-average return on investments made. Shortterm liquidity is no longer a problem. Thanks to blockchain technology – and its smart contracts that make transparent tokenization of real estate assets possible – there is now an efficient way for individuals to gain access to this highly profitable and stable asset class. By creating a platform in which tokens backed by expertly chosen real estate assets, we address all of the above-mentioned concerns about investing in real estate while, at the same time, maintaining a healthy risk-return tradeoff and minimizing costs. We predict that blockchain technology will play a significant role in the future of the entire real estate industry. This future will only come to pass if care is taken to avoid unrealistic promises and establish diligent investment processes. For now, tokenized real estate is a way for individual investors to gain access to a high-yielding asset class that was previously out of reach and to add a more secure holding to their cryptocurrency portfolio. The most difficult part of real estate token is the bridge between the tangible asset and the relatively volatile digital currency market. Realisto, among all real estate tokens/ICO, presents the most viable path towards crowdfunding and tackling this difficult task. The experienced team has presented a well thoughtout whitepaper. The major difficult part in its development will be handling legal issues in some countries, when it expands globally.